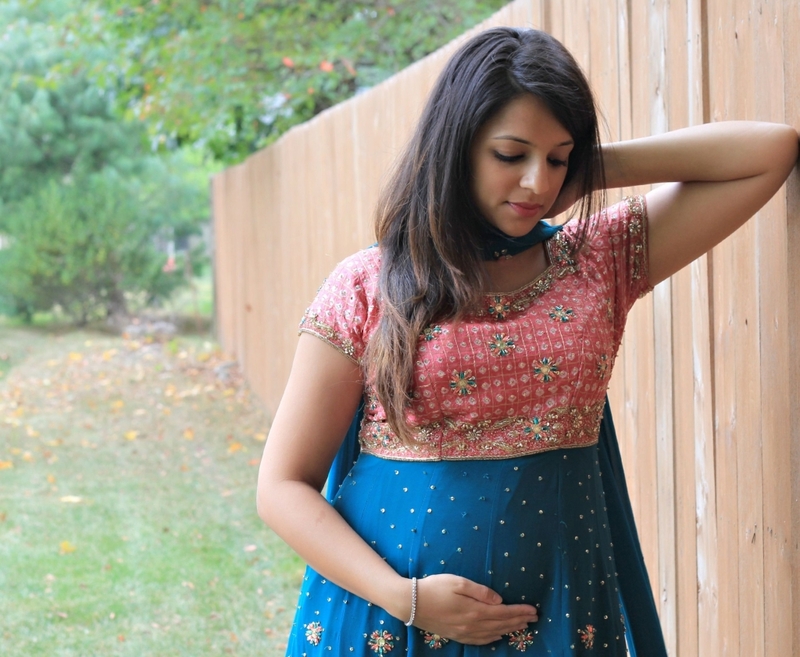 In line with our Garba series, we wanted to share 3 pregnancy looks Dipti is sporting this Navratri. As Dipti shares her pregnancy with all of you via her diaries, one of her recent qualms has been how quickly her body is changing. For a first time mother, it is quite a huge shock and she has been trying to embrace this change. As excited as we are about this festive season, Dipti was not particularly excited about wearing choli blouses. With her growing belly, she was looking for something more conservative while still maintaining the traditional aspects of the festival. We played around with what we have in our closets and came up with three unique and functional looks Dipti will be rocking! For her first look, we took the skirt and chundri of a chaniya choli and paired it with a kurti top. The length on the top keeps her comfort in tact while the flare on the skirt keeps it true to tradition. The second look we came up with is a handy dandy anarkali! 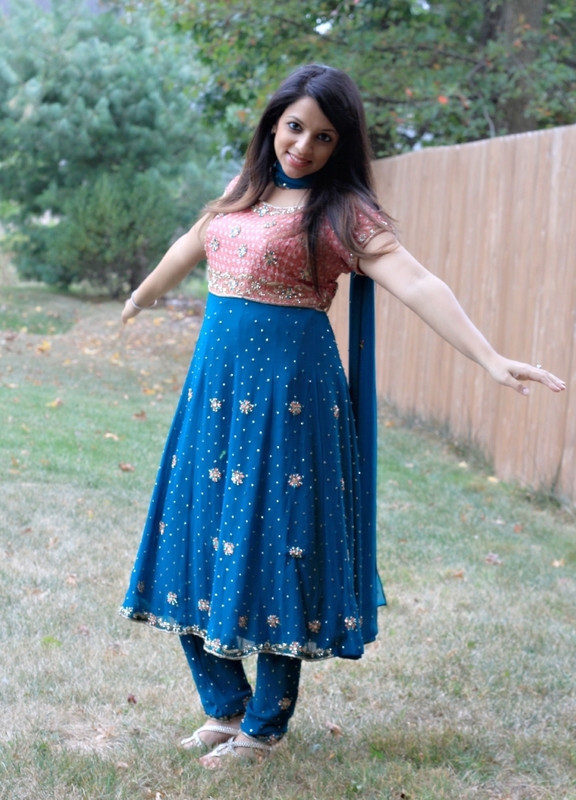 Anarkali suits (especially the princess cut ones where the chest part is fitted and everything below flares) are the most comfortable Indian clothes to wear during pregnancy. They have room to breathe and are an easy wear. This number is just that and with the bhandani design on top, the tradition of the Navratri season stays put. Last but not least, the third look is a combination of style, flare and comfort. We combined a pair of patiala pants and its chundri with a simple kurti top we had. The colors of the two pieces are what this season is all about. We accessorized with antique jewelry and a belt (or kandhoro) to tie this look together! The comfort in this is very visible – we would definitely wear this even without a bun in the oven!